This dress was my Sunday afternoon sewing project. 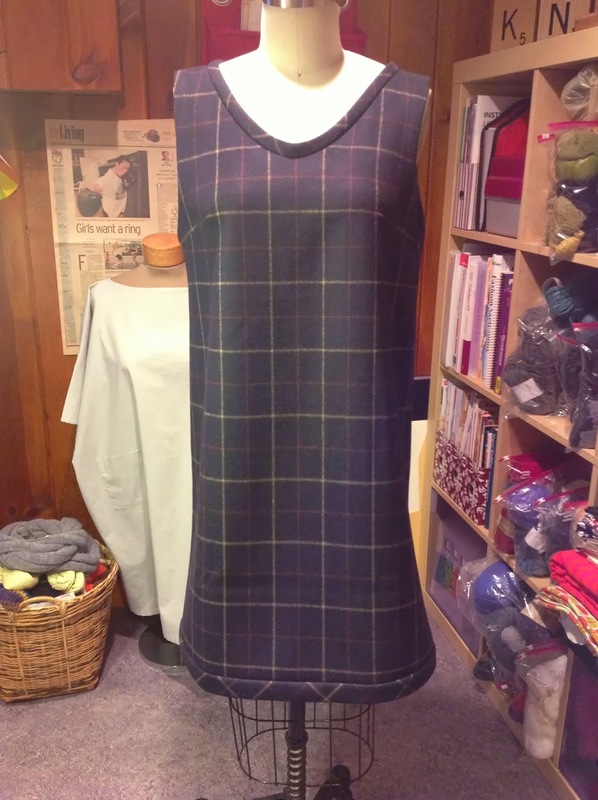 The pattern is from the Machiko Kayaki book Dressmaking at Home. I bought the navy plaid wool at a summer sale at Bolt. The facing is denim linen is from Alexander Wang that I previously used to make this other Machiko dress. 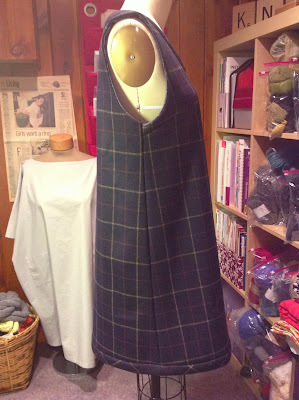 This project came together quickly once I actually started doing the sewing. I made no mods other than to take in the side seams an additional couple of inches. 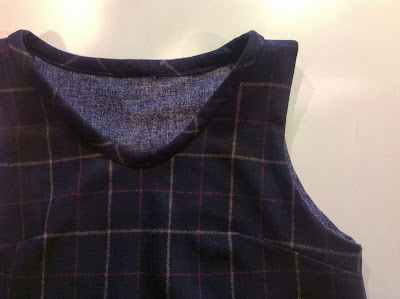 I love the bias trim around the neckline and the hem. Can't wait to wear it!